The guides keep their eyes peeled for wildlife on the ride and we can stop at any time to take photos of toucans or sloths if we are lucky enought to spot them! 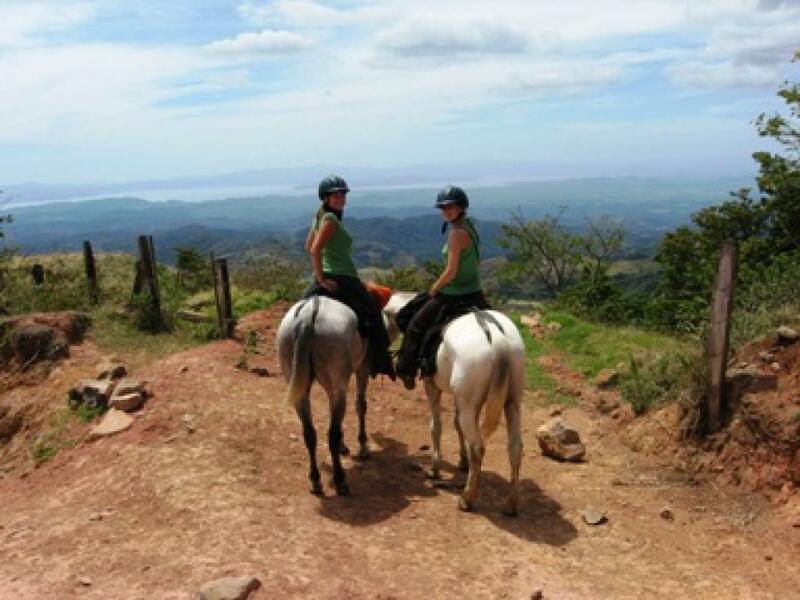 The route in general is very scenic and offers open views of the surrounding Monteverde countryside as well as the Gulf of Nicoya. 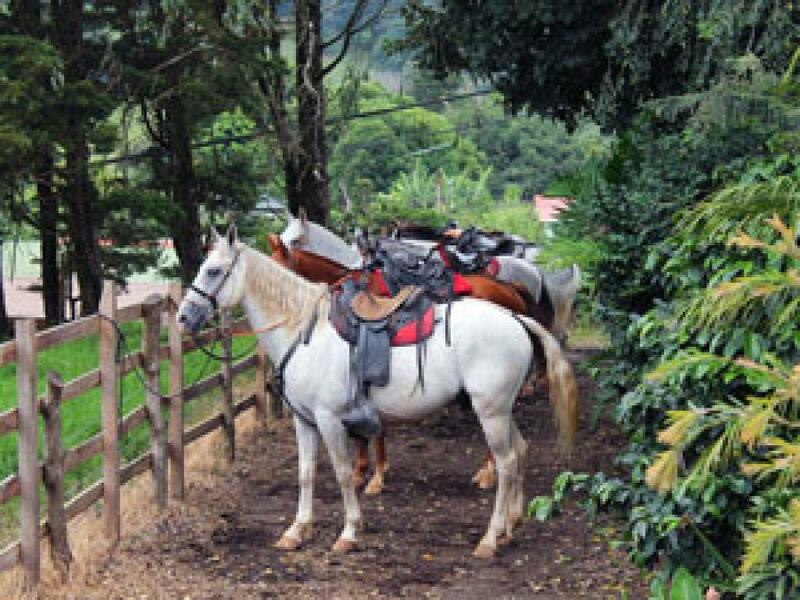 This ride can be done as a Sunset Horseback Ride or any other time just let us know. Private tours can also be arranged. Children's saddles and helmets are available. Rain ponchos (if necessary!) are provided. The ride is fully insured and only experienced guides are used. The ride is 2.5 hours long plus transport time. Suitable for ages 6 years and up. 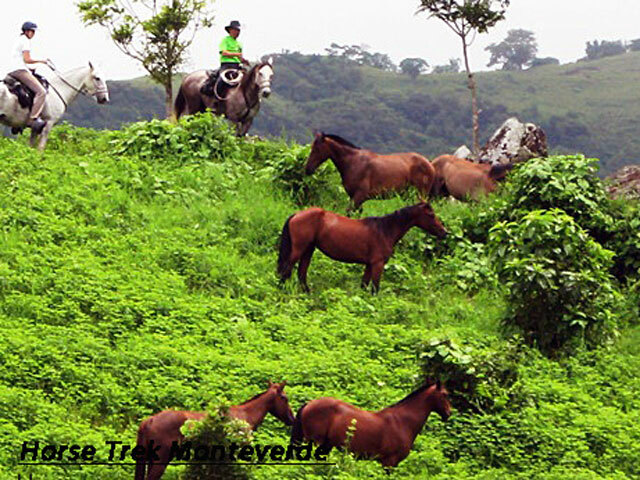 Children must ride on their own horses, not with parents. A lead rope can be used.